I’m sure you’re not too terribly surprised, Yup, Cheesecake is one of my great loves. Given the choice between it and a myriad of other desserts, I will choose cheesecake everyday and twice on Sunday. 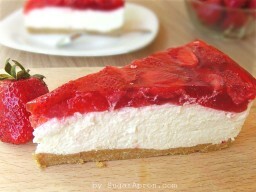 And it’s all here, no fancy embellishments, just a humble graham cracker crust, creamy cheesecake and strawberry glaze. This is a cheesecake purist’s dream. Spread cream cheese mixture in the bottom of the graham cracker crust. what do you mean fold in whip cream? It means to mix all together:cream cheese,powdered sugar and whip cream. I’m making this for my boyfriend for Valentine’s day! I’ve never made cheesecake before but I was wondering, does the cream cheese have to be room temperature or straight out of the fridge? Yes,it needs to be on room temperature. This looks fabulous! 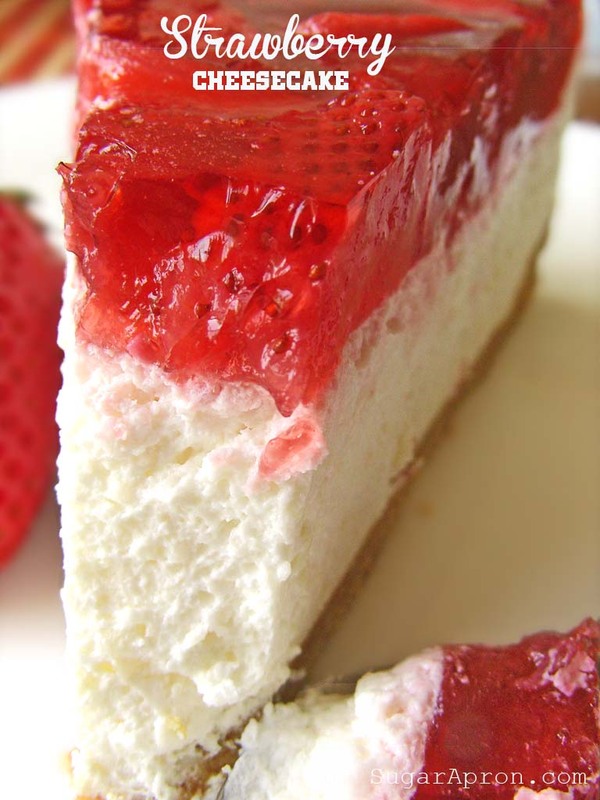 I love anything cheesecake related, yum!